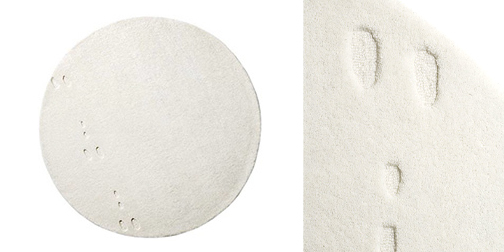 The Norwegian design studio, Permafrost, has a great series of rugs entitled Stories. Each rug in the collection has a series of tracks running across the side. I think the best one is Silence. It looks like a bunny ran across a snowy lawn. The tracks add a lot of character to a simple white rug.